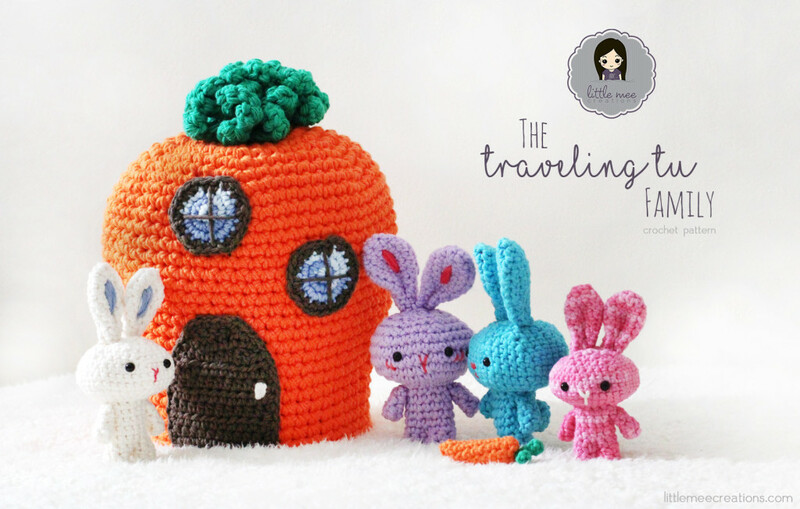 The Traveling Tu Family ~ Free Easter Crochet Pattern! What better way to add a little fun to Easter Baskets this year than with this adorable micro family of traveling rabbits!? This free crochet pattern will get you on track to giving your kids the most unique and fun baskets around….while still featuring your hand-made touch! Mommy and Daddy bunny enjoy long strolls through Easter Egg Fields. Big Brother and Baby Sister Bunny are a little rascally at heart, and love playing hide and seek inside of Easter Eggs. The whole bunny family loves being tucked away in their sweet carrot home for the night. 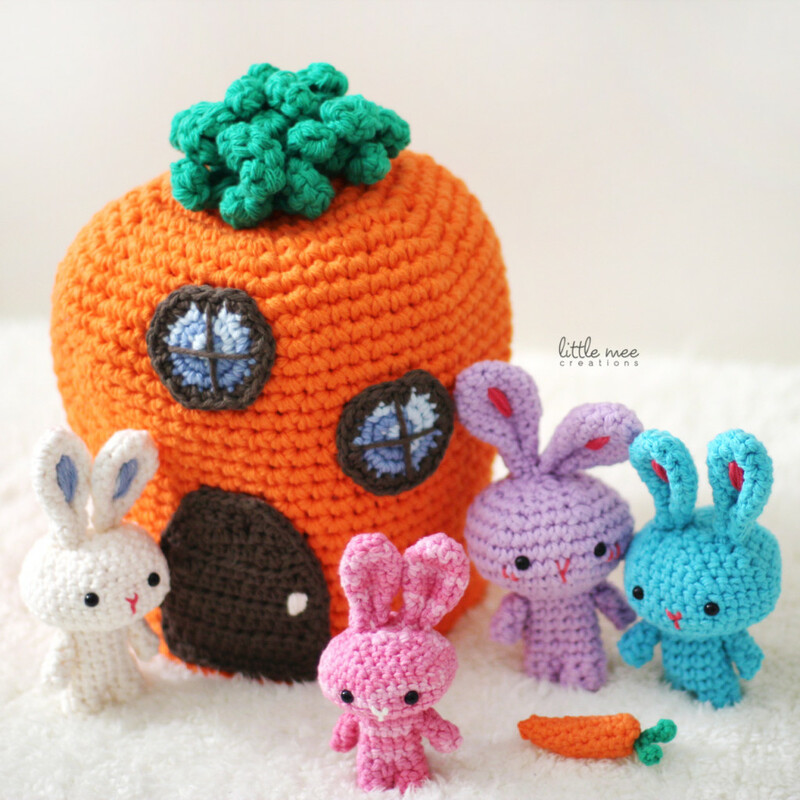 Kids are sure to have a great time playing with this little amigurami crochet rabbit set. 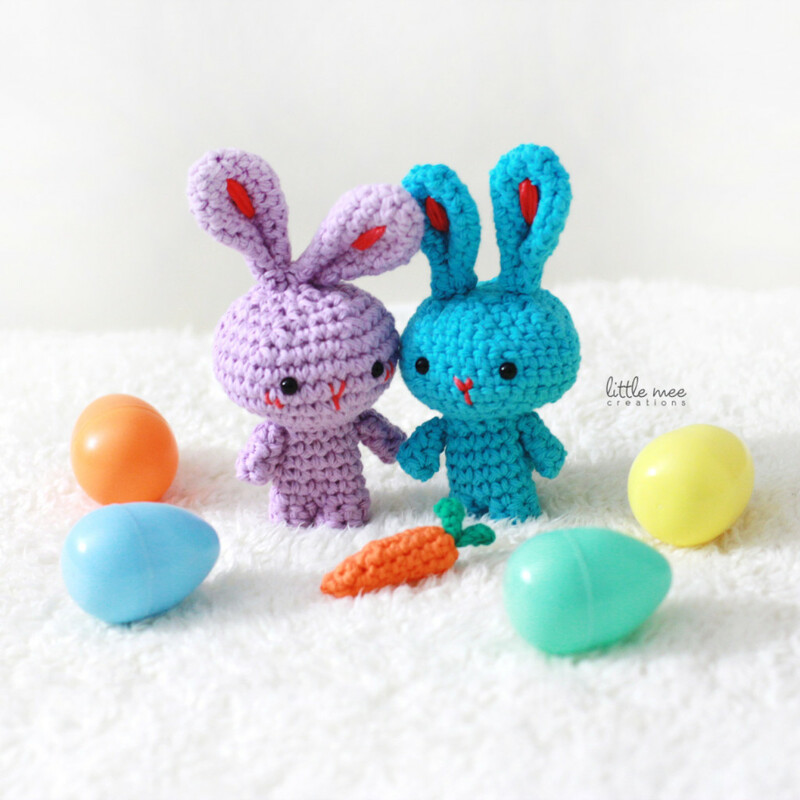 Thank you to Little Mee Creations for contributing this adorable free Easter crochet pattern as part of my Guest Contributor Program! To share on Facebook, simply click here to go to my Facebook page, and then hit “Share” on the post pinned to the top of the page. Doris Yu is the designer behind Little Mee Creations. She is a SAHM to two wonderful children, a yarn lover and an avid crocheter who wishes there were more hours in a day to dedicate to crocheting. Doris entered the world of crocheting while pregnant with her first child in 2012. She is self-taught and initially crocheted as a hobby but eventually started creating her own designs. Her designs are mostly inspired by her children and crafted with love. She hopes to inspire others with her creations. Find her on Facebook by clicking here. Find her on Pinterest by clicking here. Find her on Instagram by clicking here. These are so adorable! I only wish I could crochet. Will save the pattern in hopes that my sister will make them. Thanks for sharing! saving this as an idea to make for a gift! super cute!! Oh my! How adorable! 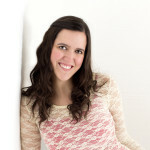 Great guest contributor and pattern freebie! Thanks for,starting up,this guest post feature. LOVE this so much!! Thank you to both you and Little Mee Creations!!! This is just the cutest Easter set.. Thank you so very much !!! Thank you both for this tooo too to cute pattern!! Thank you for sharing!! So precious! Thank you so much! To late for Easter this year, but it’s definitely on the list for the grand babies next year. Beautiful!!! So cute!!! Thank you so much for sharing with us! Can’t wait to check out your page! Thank you so much have sharing this cute Easter Bunnies set. You really have a talent. I will love try to make it. I also posted on my Crochet Addict FB page and 10 minutes later I had 23 likes! I love this…have to make for my little granddaughter. They help over 100 families in that county in Florida every Christmas…the number of families – and children – grows every year. Was started by my sister who wanted to share her special childhood memories of Christmas with families there. Those who would never have Christmas without them. Full Christmas dinner (with all the fixins and pies, etc. ), and PERSONALIZED gifts for every child – chosen according to child’s age and what they want. A couple of years ago, one retailer gave them bikes for every child on the lists! This is adorable! Thanks so much for making it available to us for free. I’ve been hoping to come across little play set patterns like this to make and include in some Christmas shoe boxes that the Samaratin’s Purse organization collects every year for underprivileged children in foreign countries. I’d love to see other patterns on this order if you have any. I can’t wait to get started. Missed this Easter, but not next year. Hoping make this for my granddaughter for this Easter,love it.